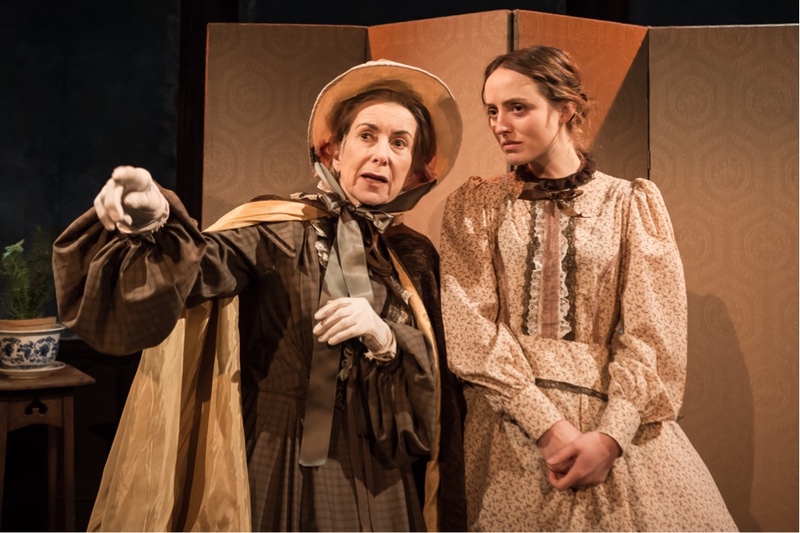 The Finborough Theatre, celebrating its 150th year in 2018, is presenting a series of plays also first produced in 1868. This time around it’s Cyril’s Success by H.J. Byron. It’s a funny semi-autobiographical take on marriage and life at the theatre from a resident playwright. Well, resident in nearby Brompton Cemetery. Byron may be largely forgotten today, but he was big in the mid-Victorian era. Here the fun in this piece comes from making much out of a simple premise of mistaken identity and the vagaries of marriage. Cyril (Tim Gibson) is at the peak of his fame and power as a playwright, novelist and newspaper writer, when his wife (Isabella Marshall) leaves him. She read a letter sent to one of Cyril’s friends thinking it was for her husband. It all ends well of course. But not before Cyril has a string of flops, falls ill and briefly ends up living a life of bohemian squalor. Stirring up the insanity are two supporting characters. Susan Tracy as the husband-hating Miss Grannet is hilarious as a the scheming woman “on the shady side of 40.” Stephen Rashbrook is just as good as the jaded critic and self-declared bachelor Mr Pincher. This is the first London production in 127 years and it’s another fascinating piece that captures a part of life in mid-Victorian London. It’s style, which includes various asides to audiences might not be to modern tastes. 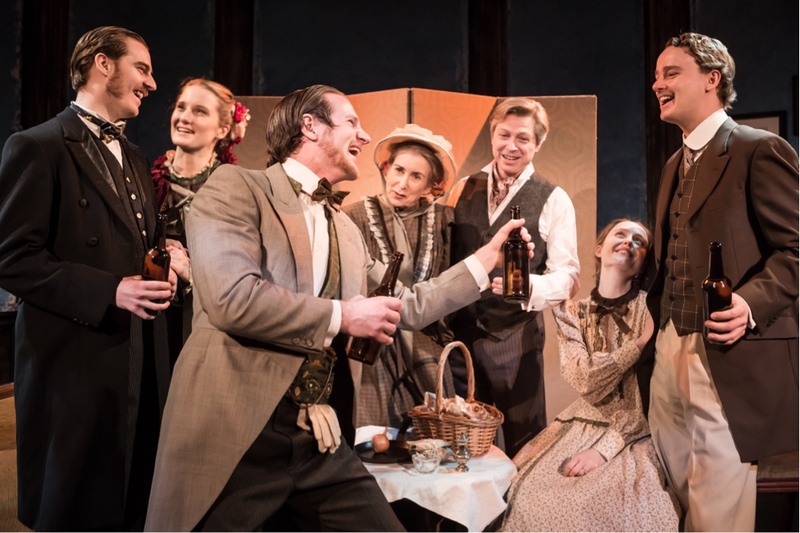 But this production still has plenty of laughs as it takes shot at Victorian artists, marriage and infidelity. Under the direction of Hannah Boland Moore things are kept at a brisk pace. 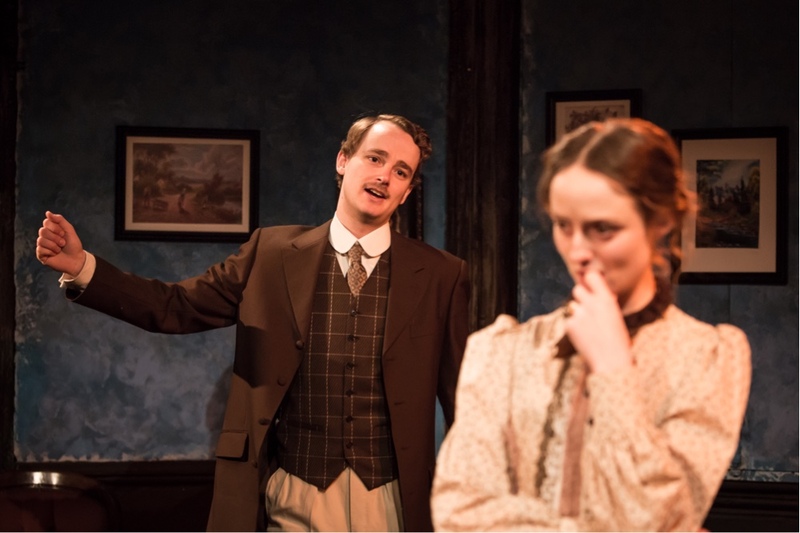 It’s mostly sold out in it’s run at the Finborough which concludes on 20 February. But with the various scene changes across mid-Vcitorian artists homes and clubs, this is a production that also feels like it could do with a West End transfer and a bigger stage to exploit the potential of the piece.